Thank you Blue Nib for providing a platform for poets around the world to get their poetry out there. I am extremely delighted to have made the long list, and now to be among the talented shortlisted poets named here. 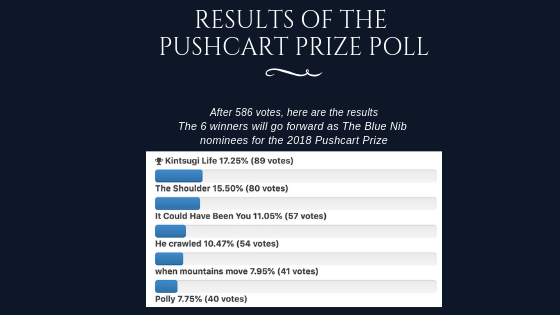 I am grateful to those who voted for 'He Crawled' thank you all! leaving carnage on the runway. crawling childlike from the wreckage. fuse into the stillness of his being. wait blameless on the bright side.